I recently went to Nottingham Physio & Colonics Clinic, after being diagnosed with a 'frozen shoulder' by my GP. My GP explained that it may take at least 3 months before the pain would subside and before I would regain full movement again. He also prescribed anti-inflammatories. My Doctor did also suggest a cortisone injection at a future date, if the pain did not go away. My GP recommended Kevin at Nottingham Physio & Colonics, and said that physiotherapy would be beneficial. He also said that Kevin could give me a proper diagnosis, as he wasn't 100% sure it was true 'frozen shoulder'. I had a thorough consultation with Kevin, and three hands-on treatment, (massage, acupuncture, interferential and ultrasound) within a week, and was truly amazed that I was able to go back to work on the following Monday, with almost full range of movement, and a considerable reduction in pain. I just can't thank Kevin enough, and the treatments were worth every penny. I would recommend Kevin to anyone. He is a throughly nice guy, very likeable and enthusiastic in helping people get better and out of pain. Was recommended to see Kevin with agonising low back pain. After my first treatment, which included remedial massage, acupuncture, spinal manipulation and ultrasound therapy, I could not believe the dramatic difference. My back pain had diminished substantially, and I could walk upright for the first time in two weeks. Kevin Booth the physiotherapist was spot on with the diagnosis and knew just where to press to locate the problem areas on my back. He is professional, with a very refreshing personality. He re-assured me that the problem was not serious, although it did feel like it at the time, and he put my mind at rest. Two treatments - cost £85 in total. Best £85 I've spent in a long, long time. All sorted. I have been seeing Kevin for several years now. He has a wealth of knowledge and lots of different techniques to sort out problems. His instinct for his profession is something that makes him a brilliant therapist.A physiotherapist, with a difference. He also performs osteopathic manipulations to free up 'sticking' spinal joints. He also does sports massage, ultrasound, to speed up healing, and interferential to help relax off tight muscles. He can also use acupuncture With over 15 years experience, I first saw Kevin after suffering whiplash many tears ago.Kevin sorted my latest problem of (very painful) plantar fasciitis with ultrasound and massage. I then suffered lots of back and shoulder pain from walking off centre. Kevin is so patient and understands the dynamics of how things work.If you have any pain, go and see Kevin! 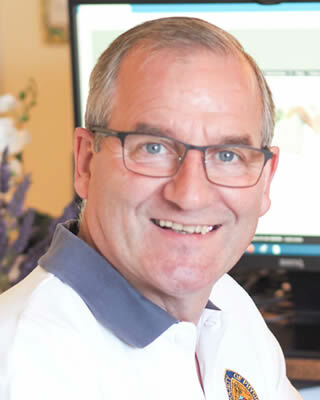 I have recently visited Kevin Booth, a State and Chartered Physiotherapist at Plains View Surgery, Mapperley, after a protracted period of low back pain. I'd had this pain for several months, and it was severely curtailing my activities; even simple things like shopping, gardening and walking. I am delighted to say that after three very thorough treatments with Kevin, the pain has completely disappeared. He treated me with deep massage, then used ultrasound to increase blood flow to the muscle tissue. He finished off releasing a few 'stuck' joints in my spine, with gentle manipulation, and then gave me a good stretch. I feel like a new woman. A few weeks ago, I woke up with a stiff neck. It was painful to turn to the right, and this affected my driving. It was also causing headaches. I took the usual painkillers and anti-inflammatories, which helped a little, but I couldn't get rid of the stiff neck. The pain then began to travel down into my left shoulder and down my left arm. I decided to contact Kevin Booth, a Physio in Mapperley, following a recommendation from a friend. I found Kevin to be a very friendly guy, with a good sense of humour. He was very confident with his examination of my neck and muscles, and certainly knew what he was talking about. I felt re-assured. He treated me with heat packs, massage, acupuncture and electrotherapy. He also did lots of stretching which, he said, helped to release 'sticky' joints. I had two treatments with Kevin and the results have been fantastic. I now no longer have any pain, and I can turn my head, without any stiffness too. I am very pleased to tell you that over the last month, my shoulder pain has lessened amazingly. I can now garden without any problems. The best bit is that I can have a much better nights rest, and turning over onto my right side is not disturbing my sleep. I thank you so much for all the care and kindness that you showed me during my treatment times with you. Kevin and Linda have both been involved in helping me cope with my arthritis for a number of years now, including ultrasound, interferential therapy, massage, manipulation and acupuncture. They have always been friendly, informative and above all professional. We’ve even had a few laughs along the way. I couldn’t ask for better treatment and I would certainly recommend them to anyone.